Magento 2 platform has several different types of products to choose from when setting up your eCommerce store. One of these product types is a Virtual Product. Virtual Products are non-tangible products such as memberships, warranties, services, or subscriptions. Virtual Products can be purchased on their own, or as part of Grouped or Bundled Product. For more information on grouped, simple, and bundled products be sure to check out our product guides. In this guide, we will walk through the creation of a new virtual product on a Magento 2 store. We suggest having Images (if applicable) and Description ready as well, but these can be added after your initial setup. Now, you’ll begin adding the basic information about your product. At the top, you’ll see Enable Product with a toggle switch – this indicates if the product is enabled and viewable on your site, or is disabled and cannot be seen on the front end. You can toggle this to be disabled while you’re setting up your product and making changes until you’ve completed the product and are ready for it to be viewed by your customers. 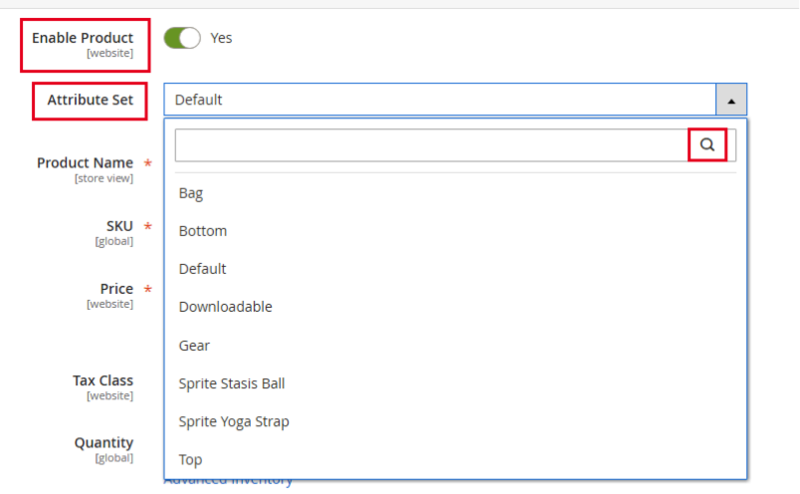 The next item you’ll see is a drop-down selection for Attribute Set. Clicking this opens the drop-down, which you can then search for the attribute set you’d like to associate with this product. To learn more about creating and setting product attributes, be sure to check out our guide. Product Name: The name of your product that will be displayed to your customers. Price: The price of your product. Quantity: Set how much of this product is available. Stock Status: Click this drop-down to mark this product as In Stock or Out of Stock. NOTE: Because this is a Virtual product that does not have a weight associated with it, you can leave the Weight field empty and select This Item Has No Weight from the drop-down next to it. 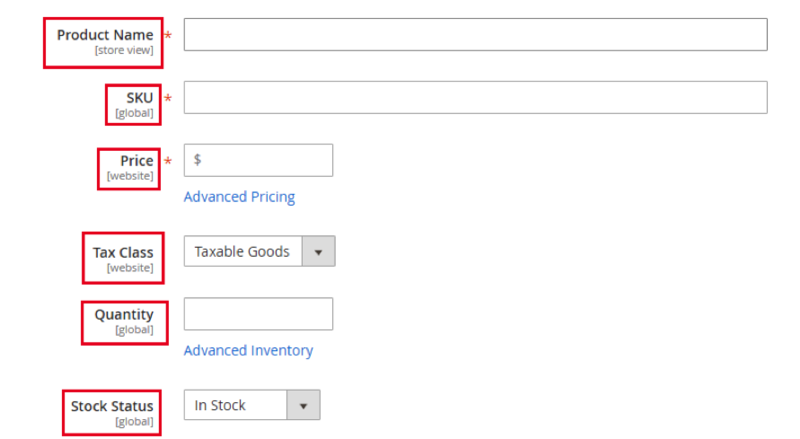 Categories: Start typing in this box to select the category or categories that your product will fall under. 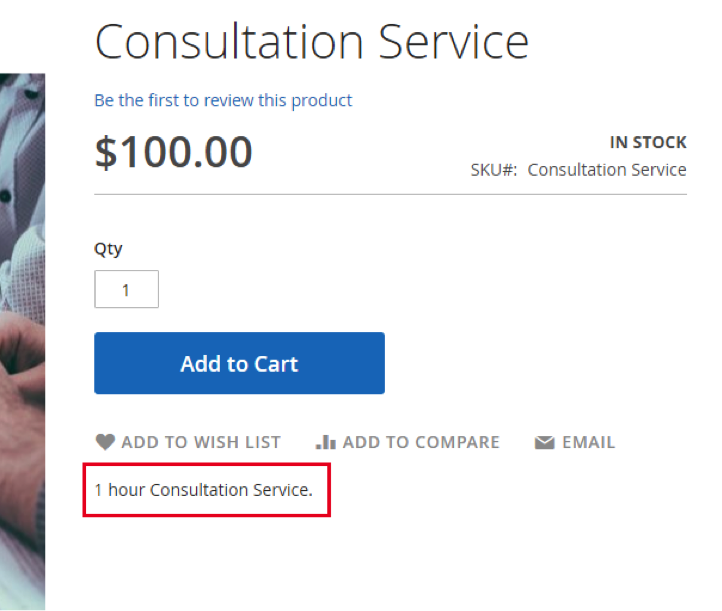 For example, if your new product is a service, and you have a category called “Services” you can type in services and then select this category when it appears. The next drop-down section you’ll see is the Content section. Here, you can add in details about your Virtual product. This content will appear in the Details tab of your product page. This section also includes a Short Description input box to enter a smaller note detailing your product. This will appear under the Add to Cart button on the front end of the product page. The next drop-down section you’ll see is Configurations. You would click the Create Configurations button if you were going to create different options for the product, such as different colors to choose from or different size. 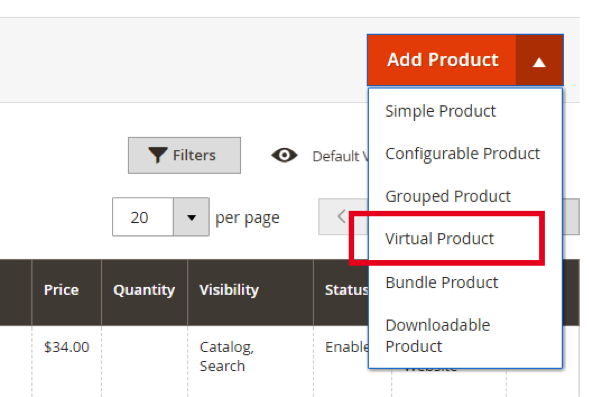 However, since this how-to is for creating a Virtual product only, skip over this section. The next drop-down section to edit is Images and Videos. The following section to enter information for your Virtual product is Search Engine Optimization. This area allows you to update the metadata and additional information for your product. 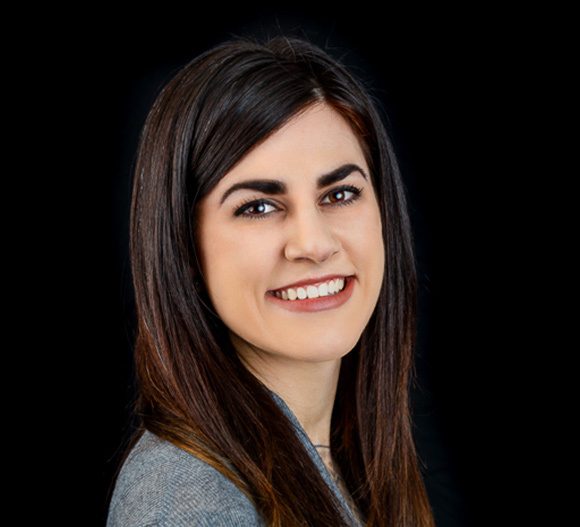 The next area to make additional selections that are connected to your Virtual product is Related Products, Up-Sells, and Cross-Sells. 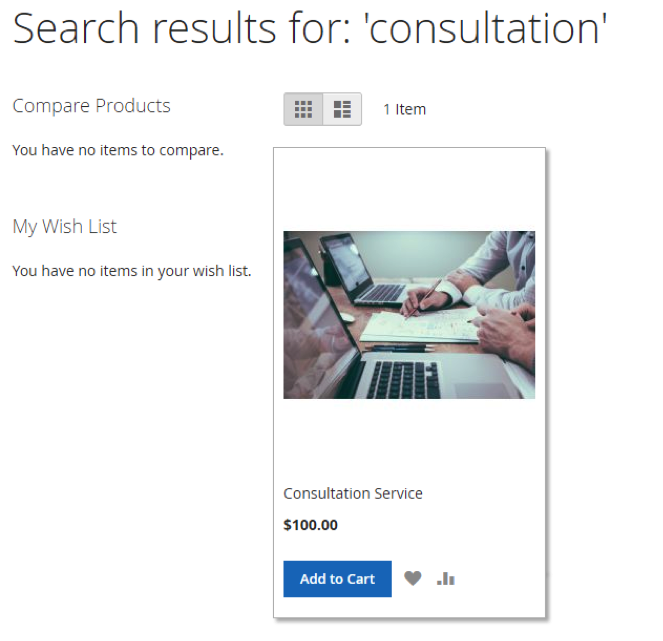 While not required, selecting products to add to these sections can put more of your products in front of your customers and further show what your site has to offer. To learn more about setting up Related Products, Up-Sells, and Cross-Sells check out our guide. 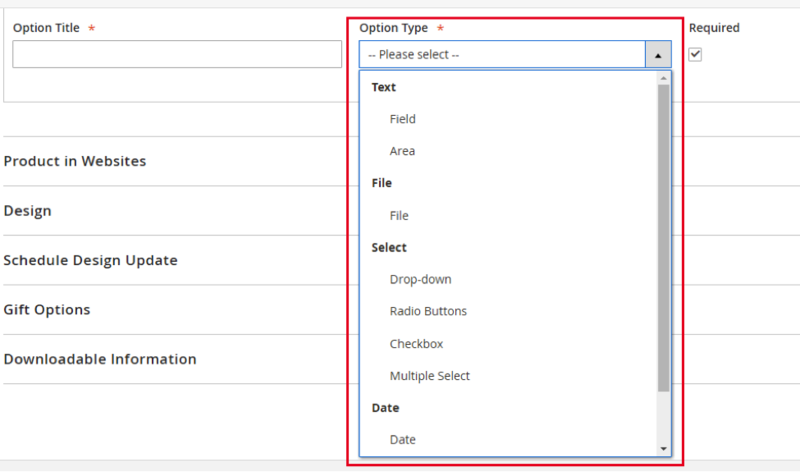 Option Type: Select what type of option this is, such as a Text field, Checkboxes, Radio buttons, etc. The next section you’ll see when creating your new Virtual product is Products in Website. 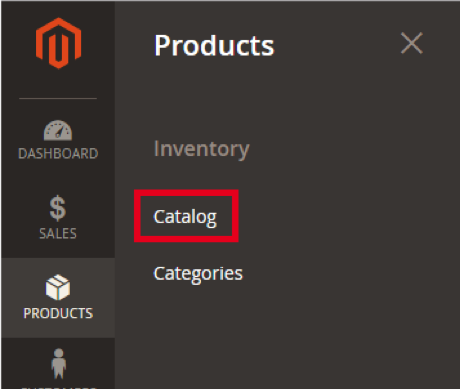 If you have multiple websites within this Magento 2 installation, this section allows you to choose which of your websites you’d like this specific product to appear on for your customers. Following the Products in Website section, you’ll see the Design section. Following the Design section, you’ll find Schedule Design Updates. This area allows you to make temporary changes to the style of this product page. This can be useful for a seasonal update or promotion. The second to last section within your new Virtual product creation is Gift Options. In this section, you can toggle Allow Gift Message to Yes to allow a gift message to be left on this product during the checkout process. The final section of your new Virtual product is Downloadable Information. This allows you to select if this product is a Downloadable Product. Typically, Virtual products are services or subscriptions which don’t require a download. However, this option is available to you if you’d like to have your Virtual product be Downloadable as well. Important Note: Because this item is a Virtual product it will not show Shipping Options on the Cart or Checkout page unless there is also a tangible product in the Cart as well. Virtual products are a great way to offer products to your customers that don’t require shipping, downloading, or delivery.. This allows you to display your products and their information in a way that is easy to navigate for your customers, while at the same time providing you with full control over details and customization that fit your needs as the store owner. If you have any questions or comments about setting up Virtual products, other product types, or other administrative settings in Magento 2, we’re here to help! Fill out our contact form today to connect with us – let us know what your goals are and how we can help you achieve eCommerce success!